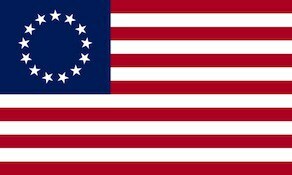 The 1st Virginia Regiment was raised, on July 17, 1775, at Williamsburg, Virginia as a state militia unit and later for service with the (U.S.) Continental Army. Its origins go back to the Charles City-Henrico County Regiment of Militia founded in 1652. During the French and Indian War, the Virginia Regiment was commanded by Colonel George Washington. The regiment saw action at the Battle of Great Bridge, New York Campaign, Battle of Trenton, Battle of Princeton, Battle of Brandywine, Battle of Germantown, Battle of Monmouth, Battle of Stony Point and the Siege of Charleston. Most of the regiment was captured at Charlestown, South Carolina, on May 12, 1780, by the British and the regiment was formally disbanded on November 15, 1783. The 276th Engineer Battalion is the successor to the 1st Virginia Regiment.